We often associate massages with luxury — an expensive extravagance involving a special bed, aromatherapy and a spa hotel. But anyone with hands can give themselves a massage, and it’s well worth it. The benefits range from increased circulation, muscle toning, calming of the nerves, joint lubrication, increased mental alertness (a face massage is amazing when you’re sluggish), soft skin and a great sleep at night. Beyond the direct health benefits, a self-massage is a way to be kind to your body and give yourself something special. Certain massages can also target specific types of pain, or issues like sinus problems or headaches. Read on for some instructional videos I’ve tried out. Not only will these help you give yourself a great massage, they include clear instructions from a licensed professional. Enjoy! Licensed massage therapist Heather Wibbels shows you how to do a lymphatic head and ear massage that is great for reducing congestion and sinus pressure. This massage is particularly aimed at people with allergies or head colds, but the massage itself is relaxing for everyone. This is a massage technique you can use on yourself, or on others. 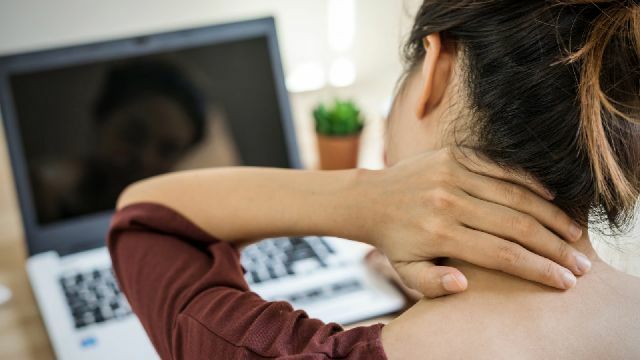 It’s a great quick fix for muscle pain in a specific region, and a long-term technique for muscles that haven’t been working well, or are being overworked. The teacher here is Spencer Harwood, a massage therapist from Washington. Skip to 0:50 for the instructions. Board certified massage therapist Yasuko Kawamura runs us through this Japanese technique focused on using fingertip pressure and palms. The facial massage is relaxing, and helps with circulation. Kawamura also claims the massage helps to tone your skin. No lubricants are involved here, so this massage can be done anywhere — at work, on the train, in a park or in bed. Another one from Harwood, this foot massage can help with foot pain, general tension or fasciitis (tissue inflammation), which is one of the most common causes of heel pain. This is one of the few videos on this list that isn’t by a licensed massage therapist — but it was worth including, as it is focused on relaxation and countering stress, rather than on physical body health. The video recommends starting with a few drops of essential oil on your palms, then runs through a relaxing massage that includes the face, arms, stomach, lower back and feet. It ends with rolling on the floor on your back and some easy breathing — steps you can skip if they aren’t appropriate for you or for the space you’re in. This time we go back to Heather Wibbels, who demonstrates how to do a gentle massage while you’re in bed to help you fall asleep. We had to include this third one from Wibbels just because we know that it would benefit so many people. If you spend hours at a time at the computer or watching television, the muscles around your eyes can become tense, causing eye strain or headaches. This massage is a great way to release that tension. Skip to 1:30 for the instructions. Trainer Sandra runs through some incredibly relaxing hand massage techniques. These can be especially useful for people who use their hands all day to type or for other types of work. Sandra starts with some warm-up movements, including tightening the hands into fists and rotating them, and rotating the fingers, then continues on to some soothing pressure movements. Therapist Christen Renee provides us with another hand massage video, but this time more focused on massage and hand stretches for carpal tunnel — a numbness and tingling in the hands caused by a pinched nerve in the wrist, and typically a result of assembly line work or a lot of typing. Which of these videos did you enjoy the most? Let us know in the comments below! Hey Buddy!, I found this information for you: "Feeling Stressed Out? Here Are 9 Of The Best Videos For Self-Massage". Here is the website link: https://www.thealternativedaily.com/9-best-videos-for-self-massage/. Thank you.